The Colori Supreme Chronograph is a really stylish watch with a sporty appearance. 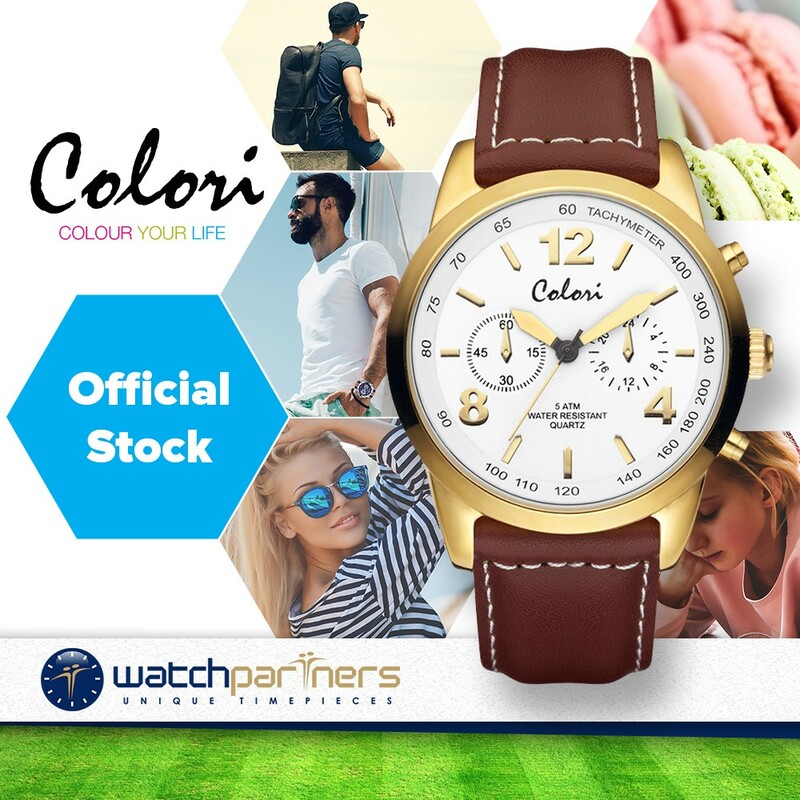 Dimensionally the timepiece has a 44mm gold colour steel case and is designed to make a bold statement. 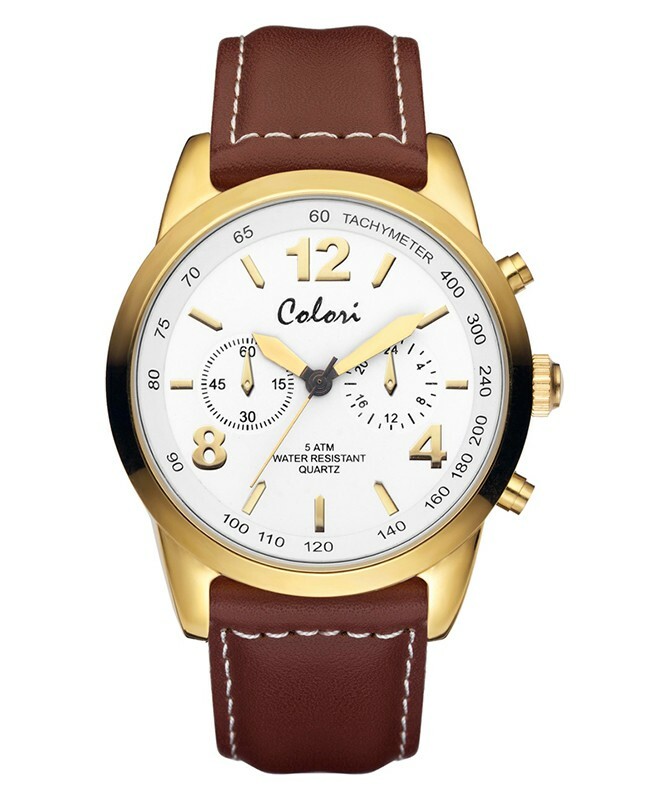 Impressive details include an elegant white dial with contrasting gold numerals/counters, brown leather strap and mineral glass. Beneath the refined exterior lies a Japanese made Miyota quartz movement.